Future vehicle safety systems based on forward-looking sensors require a very robust validation system. This study describes such a validation sensor system and an algorithm to trigger safety systems in a crash. The presented sensor concept can detect the first contact and estimate the position of impact and the overlap in the initial few milliseconds of crash. The results highlight the temporal advantage of such a sensor over the present systems. This work describes the development of an optical measurement system for accurate quantification of methane (the main component of compressed natural gas) densities in gas flows based on broadband absorption of infrared light. Using various test environments we validate accuracy and precision of the quantification method. We show that our measurement system can serve as a tool for the development of modern, CO2 saving internal combustion engines reducing environmental impact of transportation. Completeness checking of constructional steel structures with several hundred weld-on parts still represents a great challenge. By the use of 3-D scanners, it is possible to obtain sufficiently comprehensive information about the actual configuration (as-is state). By using an adapted algorithm for post-processing of the resulting point clouds, difference figures are superimposed over the respective 3-D model as the target state. The difference figures signal the missing parts. A novel microwave-based approach for monitoring the state of aftertreatment systems such as diesel particulate filters (DPFs), three-way catalytic converters (TWCs), and selective catalytic reduction (SCR) catalysts is proposed. The interior of the catalyst metal housing serves as a communication channel between two wireless communication nodes. It is shown that, depending on the transmission channel characteristics, the properties of the catalyst, such as the catalyst state, can be inferred. 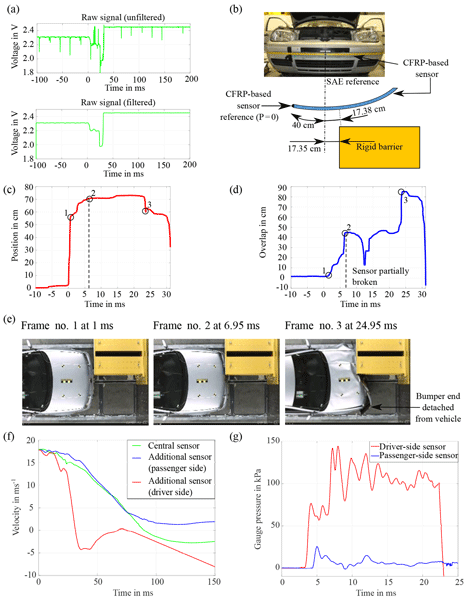 This paper presents a novel approach to detect road surface wetness, which can prospectively contribute to increase the safety of vehicle passengers and traffic participants in times of highly or fully automated driving. In an experimental study, the feasibility of the approach is shown by simulating realistic road wetness scenarios on a test bench. Furthermore, a sensor system is proposed and integrated into a vehicle. The potential of the presented approach is demonstrated in a field test.